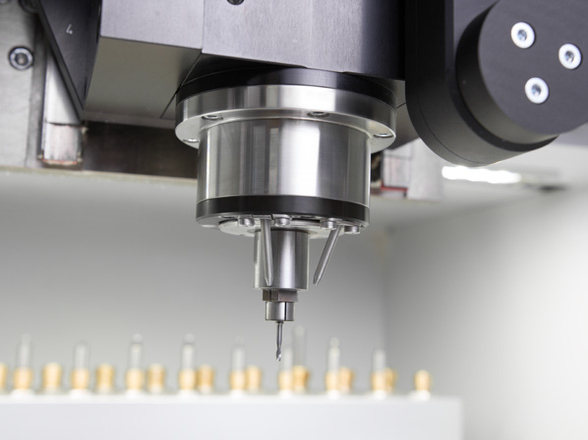 DATRON neo was specifically designed and purpose-built to give you an easy access to high-speed milling. 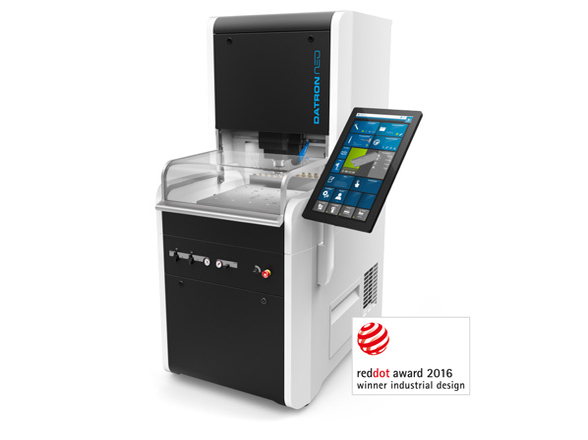 This Plug-and-Play system features the new DATRON next software which gives you full control of 3-axis milling without requiring years of experience as a machinist. 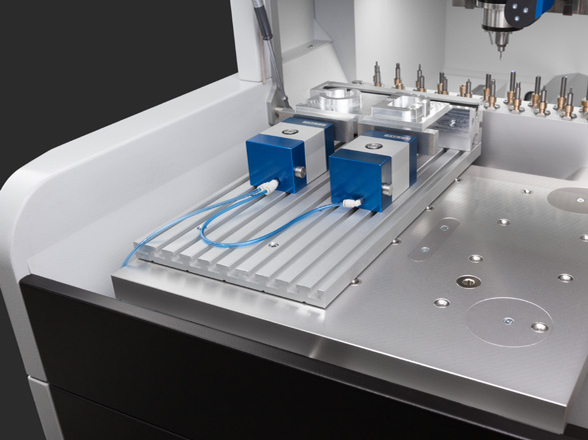 Ergonomic, frontal access to the work area allows for quick and safe setup of workpieces. 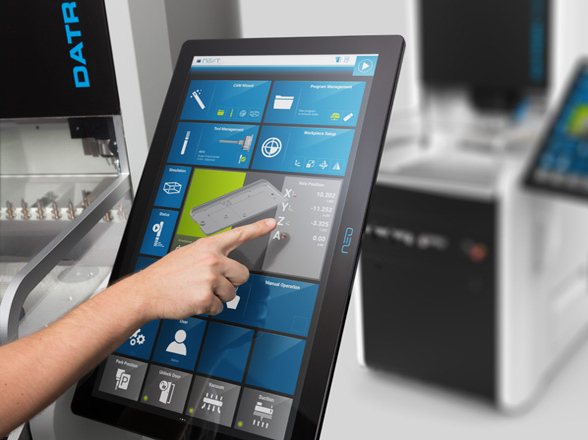 With a Smartphone-like (touch screen) interface the command of fast and precise machining is literally at your fingertips. All of this and DATRON neo actually fits through a standard door! 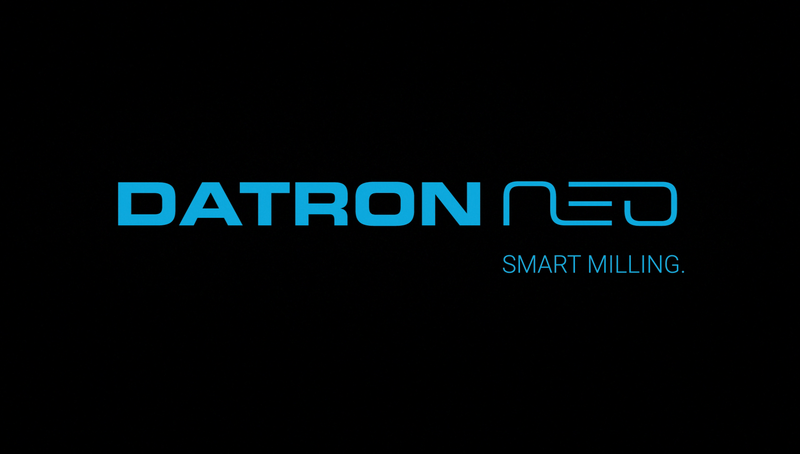 Unpacking, commissioning and setting-up the DATRON neo is so simple that you can do it all by yourself. All you need is a standard pallet truck. 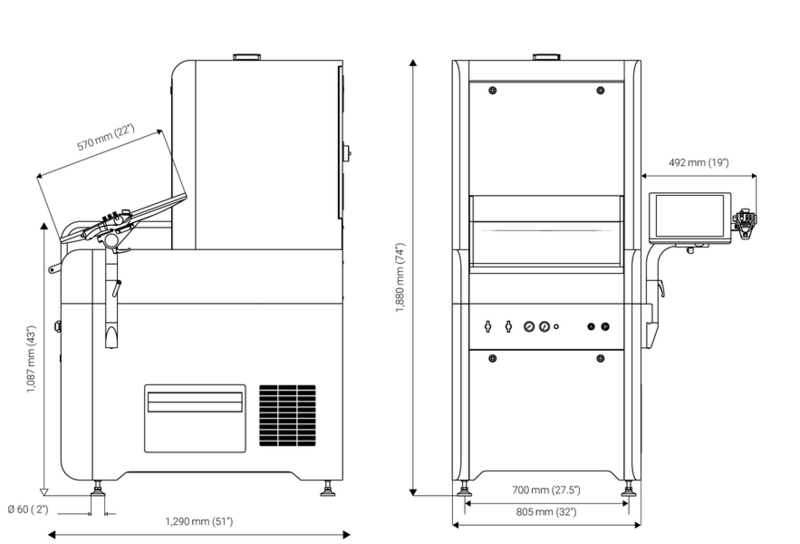 DATRON neo is extremely space-saving. 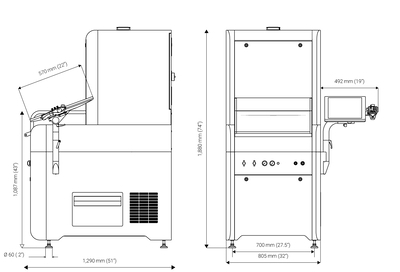 It fits through all standard doors and uses only 1 square meter of your production space. 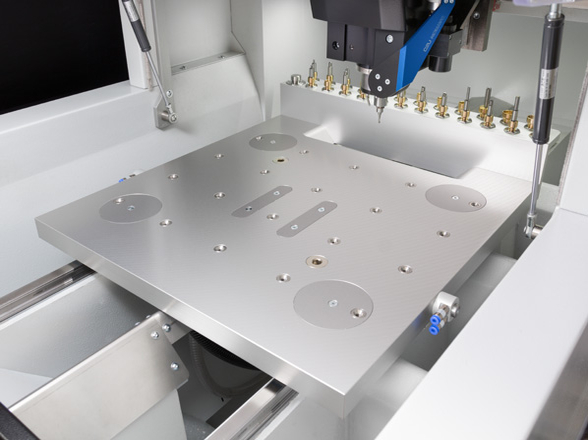 The aluminium table on a machine frame made with a solid polymer concrete casting ensures stable and low-vibration machining. 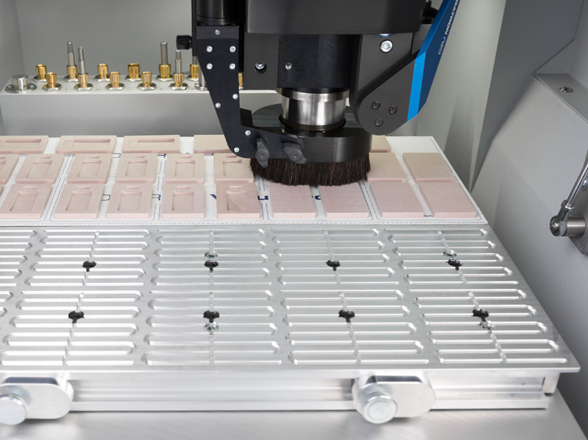 Using DATRON neo you achieve workpieces with consistent surfaces and precise milling details.